The 2017 Trasimeno Music Festival begins tonight in Italy! This is my busiest time of the year–though it all seems busy these days. After a wonderful month on tour in Australia (as well as Singapore and Tokyo), I was back in Europe for June, with a slew of recitals–all the time dealing with a flood that had happened in my flat while I was away. That wasn’t easy. My entire living room had to be emptied of pianos, books, scores, CDs, furniture. The works. It will be months now before things are back to normal. 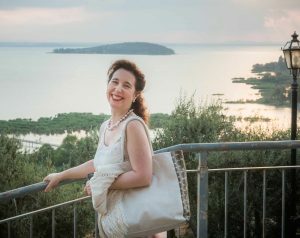 And of course June is also the time when I prepare for the big event of the year–the Trasimeno Music Festival in Umbria, Italy. This is our 13th festival (we began in 2005)–which is hard to believe. It’s a wonderful line-up this year, and in a few hours in the beautiful Basilica of San Pietro in Perugia I will be performing Mozart with Sir Roger Norrington and the Zurich Chamber Orchestra. This will be memorable, I know. Tomorrow is a Bach recital in the Castle of the Knights of Malta in Magione; then we welcome mezzo-soprano Anne Sofie von Otter with Brooklyn Rider from New York. For the 150th anniversary of CANADA, 4 of us Canadian pianists (Janina Fialkowska, Jon Kimura Parker and Charles Richard-Hamelin) will join me on stage for a four-piano spectacular which I hope will indeed be spectacular. Only Perugia’s Teatro Morlacchi could fit us all on the one stage. And much more. Please go here to our programme page to see the entire programme.